Sam Harris, meat puppet?. But if he’s a puppet, who’s pulling the strings? Received this email from Justin. I’ve edited it only to correct the typos my enemies placed in my Inbox. I am contacting you because you have a different view on the subject of free will than Sam Harris and I am so glad to have found someone who does! I don’t want to overload you in this message so I will try to keep it short. For the last 2 years I have been in a rut because I came across Sam Harris and all of this free will determinism stuff. I was able to control my thoughts, emotions, actions, and just had a much more wonderful outlook on life. Like literally I was chasing my goals and sticking to my diet and controlling my OCD etc. But once I came across Sam and his book and stuff I kind of feel like I lost it all and I haven’t been the same since. So that is why I’m glad I found your articles because not only do you challenge his outlook like many others but you also hold credentials behind your name as well. I consider myself an extreme layperson. So I’m asking you if you can tell me in the most layperson way possible do we have control over our minds, and the power to you know do anything we set our minds to at any given moment. Do things like willpower exist? I know I might sound a bit crazy but I really just want to know from someone who knows a lot about our brains like Sam claims he does. Because it’s heartbreaking for me to still see others have fun and chase their goals and succeed all while I feel like I’m just a shell of my former self. And I also want to know if you can tell me in most layperson way possible because I feel like maybe the reason I’m like this is because I don’t understand Sam and the way he put his argument. Any feedback will be greatly appreciated. I also am letting you know I’m going to try to contact others as well with this question. I’m not a troll I’m just desperate for answers. No need for desperation, Justin. Of course you have the ability to control your will and intellect, of course there is such a thing as willpower. You exercised your intellect and will—you had willpower—when you decided to write your email. There is no other explanation but that you have free will. We all do. Now you’ll find people, like Sam Harris, who will tell you, usually angrily, that you do not have free will. But any attempt at rebutting free will is fallacious and self-refuting in the same way as when a man who says there are no such thing as language shouts at you, “There is no such thing as language!” Attempts at denying free will are just as silly as that. Sam Harris, who is not stupid, has chosen a foolish path. His mind is not small. He can add numbers together without mechanical aid; he can string words together into coherent sentences. But he is like the language-using, language-denying man. He wants you to choose to believe you have no choice in your beliefs, and that is preposterous. His request is self-negating. If you choose to believe you have no free will, you have used your free will to choose. So why does a man like Harris, who assuredly is intelligent believe something so obviously wrong? Because he is enslaved to a theory, which he loves more than reality. Harris, and many like him, have developed a theory of how the brain works. This theory is immature and incomplete, but understanding it, even given its shortcomings, requires genuine and superior intellectual ability. So there are two bad things happening combining to produce an atrocious outcome. The first is that the theory is that the brain works like how a car engine works: push this piston, and this rod spins. Car engines have no free will, and neither is free will possible in Harris’s theory. Harris’s theory of the brain, since is does not incorporate free will, which everybody obviously has, is therefore wrong. The second thing is that Harris (and others) love not only the theory, but they love themselves for having created such a complicated thing. You can see the problem. Admitting the theory, which is cherished more than reality, is wrong, would be to admit to monumental error. And that would be very painful. Ideas have consequences, to coin a phrase. Bad philosophy is poisonous. Best thing to do is ignore Harris and his ilk. Harris has painted himself into a corner, and the trouble is that he has painted others who may agree with his theory with him. Those who believe in free will (that is, who are not enamored with specious theories) are reaching out and are willing to pull those who want up and over the wet paint. It is fine for the layperson to use their innate common sense (that in most cases did not come with an expensive university education) and have the freedom and confidence not agree with what the academic class has to say. Randomness is only epistemic, which is to say, unpredictability. Discuss. And don’t forget that If-I-Can’t-Explain-It-It-Can’t-Be-Explained Fallacy so beloved of theory lovers. Car engines have no free will, and neither is free will possible in Harris’s theory. Harris’s theory of the brain, since is does not incorporate free will, which everybody obviously has, is therefore wrong. Another possibility is that the theory is correct regarding the brain qua brain, although there are doubts even about that. What is therefore wrong is that the will [and therefore the intellect of which it is the appetite] do not reside in the brain. After all, you can explain much about a car by studying how the engine works, but none of it will tell you why the car drove to Passaic. Free will implies randomness, true unpredictability. That the will has degrees of freedom depending on the completeness of the intellect’s knowledge does not imply that the will moves in random directions. It may, of course, just as the legs may move randomly or the eyes twitch, but in the common course of nature the will is moved toward (or away from) the concepts of the intellect. And further, the volition may override the sensitive appetites (“emotions”). Thus, an animal feeling hungry will move toward that which it recognizes as food. But a rational animal feeling hungry may decide to stick to her diet or to fast for Lent. Because the will is the rational appetite, one will always have reasons for moving the will one way or another. Sufficient experience with that person may enable someone else to anticipate the directions. My wife can almost always guess what I will order at the diner. A free choice is not an irrational choice. The instructions for how to get out of Harris’ box are printed on the outside of the box , eh? Certainly you can will wat you want but you can’t will what you will. Andyd: Free will does not actually imply randomness. Nor does it eliminate predictability. There are reasons why people chose as they do. These are not imposed on the person entirely by their biology but rather their life experiences, their biology, their own temperament, etc. Actions are not always predictable (some are—check out politics for examples) but not because the actions are not from free will, but rather because we do not know all the factors involved. Predictability requires you know all the assumptions used in the prediction and that all the assumptions involved are known. If you miss a factor, the outcome may not be as predicted, but not because of the lack of free will but rather the lack of all of the necessary inputs to predict accurately. Could we predict accurately if we knew all the factors? Probably, but unless one assumes, as does Harris, that biology is the only factor or primary factor (even then there are an incredible number of data points required), it is probably beyond human capability to identify all the factors and then know which direction these will lead. You would need every single aspect of a person’s life, basically second by second, a knowledge of their biology and personality type, etc to get the whole picture. In some cases, we can make accurate predictions without all of this because some actions are fairly universal. It’s all so complex it is unlikely we can ever truly predict all behaviour in people. YOS has an excellent point with the question of where will resides. The assumption seems to be the brain controls everything, but we don’t know that. Brain damage can change a person, but is it because the brain is the source of will or, to use the YOS example, is the brain the track and the train derails when the track is damaged or the other way around? Severely autistic children were assumed not to know what was going on, etc, but when they found a way to communicate with others, it turned out they had been very aware of what was happening. In that case, the construction of an alternative track showed the intellect was there, just not accessible via the usual means. Hans: Certainly you can will wat you want but you can’t will what you will. The congeries of brain atoms that is labeled for convenience “Hans Erren” output this string due to forces beyond his ken or control. It can have therefore no more meaning than the whispers made by the wind blowing through the trees. Given the stupidity of people believing daft theories, the day won’t be far that the car engine’s computer has more free will than the person driving it. This is the Singularity. Reminds me of the so called climate scientists who are so in love with their models they can’t admit the models are wrong. Instead they keep changing the data to conform to the model outputs. When I was an undergrad I had some physics courses with labs. The labs drove me crazy because you already knew the correct answer to the experiment, but no matter how carefully you collected the data you could never get the correct answer. If you changed the data to obtain the correct answer, that was called cheating and you would receive an F. That was before climate science, of course, where correcting the data to obtain the right answer is accepted procedure. BRAVO! Not only do we have free will but we have the ability to know why. It is this ability that allows us to differentiate between love and desire. Choosing love gives us the ability to discern why we have free will. Briggs has long shown us that “the love of theory is the root of all evil”! Indeed it is the curse of modern academia and the sciences rooted therein. Why! The lure and the ability to secure federal grants have decimated true science and indeed has led to the establishment of the Senior Executive Service an abomination that has destroyed the ability and experience of the Civil Servant. The problem hasn’t even been well defined by either side here, meaning the intellectual and potentially physical category “free will” is as meaningless as “God” when you fail to actually define the term. Saying the mind is a mechanical machine is one thing, but the alternative to that is certainly possible, in fact as you say rather obvious, but what that actually is, on top of the known molecular machinery, is quite unknown, to science at least, and very poorly defined by competing religions and various mystics. Obviously psychedelic research could cast much light on the problem but there is too much red tape still to test thousands of new compounds in perfectly willing human volunteers, combined with modern scanning and probing techniques to map out consciousness better. Alas, the Singularity was 1870-1920. It’s already past. I sincerely doubt whether psychedelic research may reveal anything decisive in the matter. Apart from producing few thousand more or less vaguely interesting publications. Whether a ‘map of conscience’ will ever succeed to be made – a big-big Q mark. Thanks MattCzu for your constructive remark. As a cat ‘owner’, I think about it quite a bit. I am convinced that cats have free will, but can only demonstrate it maybe 5% of the time. You are referring to the fact that your cat is sleeping 95% of the time? Hans – good question! I.e., are dreams an expression of free will? Maybe dreams are a purer expression of free will than consciousness? Discuss. Or not. Your choice. Say what you will about Sam Harris and other New Atheist commanders, but surely they’re a cut above the likes of Obama and the current Pope in that they don’t pretend the attacks performed by not only ISIS but men like Omar Mateen don’t trace to Islam (while also not blaming Whitey). They’ve also noted how conflicting Islamic societies are with Europe, its settled land, and its roots. In turn, they’ve spoken out against the minority worship practiced from the UK to America. Dawkins even mocked the awkward position the feminist movement has when it comes to Muzzies. Sure, they might be hostile to Christianity, but they’re not your SJW who cries about Christians not worshipping fags yet defends Muzzies. I couldn’t imagine how oe why Harris’s views on free will could possibly affect someone for two years. Justin, I’d recommend you to see a counselor or the lovely Deanna Troi. The problem with “free will” lies in the meaning of the word “free” in context. If it means the choice/decision is not made by someone or something other than the subject then (God for instance) then, yes, the choice is free and even cats have “free will”. But that doesn’t mean you can control the decision. If, for instance, you can only pick what you consider the best to you at the time of the decision then you are not really free . What you see as best is not under your control anymore than how different items taste to you. Your tastes and what you perceive as best may change over time through experience or other factors but you can’t control it. It just happens. “A human can do what he wants but he can’t will what he wants”. The post with understanding the engine but not where it goes is misdirection. The engine has no control over its destination. IOW: you can examine the engine and understand how it works but not know the particular reason for its running. Similarly, you can study the brain to the point of understanding how it works but you will not know if its existence and operation fulfills some purpose beyond it existence. But that has nothing to do with how the brain does what it does. The is no reason for thinking to rely on something outside of the brain. Interesting idea that the brain is merely the conduit for thoughts and its condition affects those thoughts. What happens then when the brain dies when you die? Does that mean your capability of thought will end at death? “Does that mean your capability of thought will end at death?” If you’re an atheist, yes. If not, it depends on what the afterlife consists of. There are differing opinions on that one. Since mechanistic means alone are sufficient to explain my actions, Occam’s Razor suggests that no further conjecture be added. When proponents of free will provide the reason an hitherto unproven, imperceptable agent is necessary to explain my action, then does a string of causality insufficiently equal the task. Your appeal to a paradox to dispute the absence of free will rests, like all paradoxes, on a misunderstanding of concept. In this case, the concept is choice, which is meaningless until reason shows its source, free will, necessary. Until reason is provided, “choosing” the free will viewpoint is in no way distinguishable from “choosing” the mechanistic viewpoint. One pleasant outcome for Justin is that our experience of free will remains identical to our perception of actions completely determined. He can never prove by example that a pool stick striking a cue ball will always cause it to move, but he likely finds the law of cause and effect practical. Similarly, although he’s bitten the apple of determinism, he’s free to take up once again his practical belief in free will that served him so well, for literally none of us can see any difference between them, other than the latter’s extraneous content. I don’t think so. What you believe is best is just that — a belief. All you can get is information which may change your belief but you really can’t control what you believe. Give Harris a break. He had no choice but to think this. If you choose to believe you have no free will, you have used your free will to choose. Not that I’ve read Sam Harris’s position on this, but let’s assume that (a) neither God nor anything supernatural exists, and that (b) the universe, at least on the scale of the human brain, is entirely deterministic – ie there are no truly random events etc. In that case, you were always going to “choose” to believe you have no free will, because there is nothing to interfere whatever purely physical processes give the illusion of consciousness and free will. 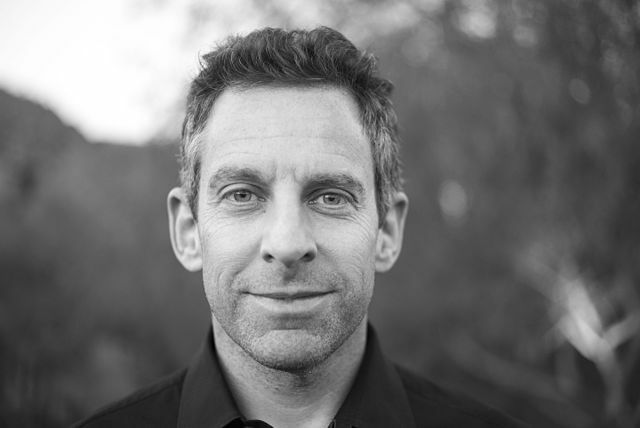 Sam Harris was always going to write that book, you were always going to read it and so on and so forth. Of course, this breaks down if either of my assumptions are wrong. 1. If random events exist and can affect the human brain, then in principle at least you could have free will insofar as your actions etc wouldn’t be predestined by the unbreakable laws of physics. [Insert quantum event here] causes a slight change in an atom in a molecule in a neurone that eventually leads to a genuinely new thought occurring. Obviously under such a system the existing structure of your brain etc will limit how radical the new thought will be, but I think you get the idea. 2. If things beyond the realm of science and the laws of physics exist (ie, the supernatural, including souls, God*, et al), then unless they also follow their own unbreakable laws of deterministic, supernatural physics (in which case it’s surely just a new branch of science, no? ), you have free will. *Assuming it’s a God that allows us free will, of course. I believe the Koran says that Allah decides if it’s heaven or hell for us (and all that this implies), which is a pretty effective negation of free will, whereas in Christianity the story of the Garden of Eden is hard to pull off if Adam & Eve don’t have the free will to choose to eat the forbidden fruit. Finally, let’s assume Sam Harris is correct, and that nobody has free will. Okay… so what? It’s not like we possess the capability to say for certain that such-and-such an act or thought was predestined, because we cannot be certain we have all the information required to come to that conclusion. Better to “pretend” (insofar as an automaton can choose to pretend…) we do have free will and live your life rather than “choose” to worry about irrelevancies like this. Dallas Valerian: You do realize Occam’s Razor is not scientific in any way? It’s a rule of thumb, a suggested way of deciding between two equal theories. I do agree that the entire discussion is pretty much moot, since we see no difference between the states. I disagree with the “extraneous content” part, however. DAV: It’s not clear how you can get information which may change your belief but you have no control over that belief. Jason: “Do things like willpower exist?” A more important thing is to realize that whether or not it does exist, you can react to the world as if willpower does exist. It’s kind of hard to explain, but it’s mostly one’s perception that holds them back, not whether or not the answer to a philosophical question is yes or no. If one perceives the world has being deterministic, one lives as though the world is. If one believes in free will, one lives as though free will exists. We definitely do not have the power to do anything we set our minds to at any given moment. We do have the ability to do what we set our minds to, within reason, but it may take many trials and errors to uncover a way to achieve our goal. This is not to discourage anyone, but just to say that sometimes things take time to be learned. As an example, one may want to stop eating a whole bag of candy and be determined not to, but it will more than likely take a few failures before the behaviour is relearned and the candy is not the temptation it was. If bad habits are learned and ingrained, it is more difficult to break them than learning not to engage in the behaviour in the first place. However, with enough practice, people do seem capable of learning some way to get whatever it is they set their mind to. I read some of Sam’s writings and I notice that he behaves as if people do have free will, even while arguing against it. He tries to convince people to agree with him and appears to believe that can be done with words and not chemical alterations of the brain. Unless the words alter the brain, which would be an odd assertion. It seems somewhat contradictory. Justin, have a look at Mortimer Adler’s book “Ten Philosophical Mistakes.” He makes a statement worth remembering: “We do not think with our brains, but we cannot think without them.” In other words, the brain is the organ of thought, but only an organ. I don’t remember the book overall all too well, because it has been quite a long time. He is thoroughly Aristotelian (/Thomistic) in his conclusions. Caveat: I do not know whether this link is a violation of intellectual property rights; it merely came up when I did a simple search. It’s not clear how you can get information which may change your belief but you have no control over that belief. If you can control your beliefs you can switch positions despite what you know. Take something you strongly believe. Now believe its opposite and ask yourself if you now believe the opposite or are just pretending to. Believe that 2+2 does not equal 4 for example. Or that ISIS is the best thing that ever happened to the world (or not) . If you find you can’t do this then I maintain it’s because you have no control over the belief. I know I can’t and I doubt that I’m that unique. Now you may come across a piece of information contrary to a particular belief that you find compelling. You will have no control over it and your belief will change. If you can ignore it then it wasn’t compelling. I find, as an empirical matter, that when I have grace I am free and when I do not I am not. Occam cannot in his wildest dreams suggest otherwise. Since mechanistic means alone are sufficient to explain my actions, Occam’s Razor suggests that no further conjecture be added. I am grieved to learn that you are a robot. But you may not understand what Br. William of Ockham, OFM, actually meant by using the Principle of Parsimony. His principle was epistemic, not ontological. He said (in modern terms) don’t have too many terms in your model, or you won’t understand your own model. And he went on to note that the actual world might be as complex as God desired, but we should keep our models simple for our own benefit. Hence, to explain the motion of the moon we need only the mechanics of gravitation. There is no term in Newton’s laws corresponding to electromagnetism or to the speed of light in a vacuum. But that you don’t need X to model some Y has no implication for the existence of X. Besides, it’s not true that “mechanistic means alone are sufficient to explain my actions.” Mechanics only explains how a motion is performed, not that it is performed. That’s like thinking that if you understand the physics of vibrating strings, you have grasped the Moonlight Sonata. But I am not an “imperceptible” agent, nor am I “unproven.” My actions are willed by me in those cases relevant, not by some other agent. In this case, the concept is choice, which is meaningless until reason shows its source, free will, necessary. Reason is precisely at the root. The intellect is prior to the will. A: We do not have free will. B: So what kind of will do we have then? A: I don’t get the question. B: Well, if you deny free will, it must be because you think the will is something else. … Does it seem reasonable to say that will is a kind of appetite, and that we can question whether this appetite has some sort of freedom? Even if “will” doesn’t exactly mean “appetite”, you’d still admit that we have desires and appetites. A: Yes.”Will” doesn’t sound exactly the same as appetite or desire to me, but we really do have desires or appetites, and I deny that we have any real choice about which one we are going to follow. B: So what sort of thing is desire? For example, can we desire something that we are utterly ignorant of, or do we at least have to have some idea of it? A: We would have to have some idea of it. You can’t want what you don’t know. B: So we desire goods only so far as we know them? B: Now do we know everything we desire with absolute clarity, or not? If we want peace, do we know exactly what the peace will consist in, how we will get to it, how fast we can attain it, and all the other relevant details? B: But then our knowledge of these goals is vague and indeterminate, and could be fulfilled in any number of ways. B: But if I truly desire, say, peace, and desire follows knowledge, then if the knowledge is indeterminate then the desire is indeterminate. But isn’t an indeterminate desire the opposite of a determinate desire? So isn’t this an undetermined desire- a free will? A: Maybe there are more causes to desire than knowledge. B: There almost certainly are, but this isn’t the point. We agreed before that desire is impossible without some sort of knowledge. I don’t see how you can have an utterly determined desire unless you posit that we have an utterly clear knowledge of absolutely everything that must be done- which we clearly don’t have. A: So are you saying that our freedom arises from our ignorance? B: I don’t know if I would say exactly that, but there is some truth in that. “freedom” in a human sense requires that we don’t know exactly the way to attain a goal. A: But we are not free with respect to this goal? B: I don’t think so. If we had a perfect knowledge of the goal, and a perfect illumination of how to get to it, and a perfect rectitude of our will to attain it, and most importantly, if there were no intrinsic contingencies in the very natures of things that made goals uncertain, then we would not be free in the sense that I now say we are free. More simply, if we stood face to face with the goal of our life, and knew it as such, then we would have absolutely no choice but to choose it. A: Yes! that’s exactly what I think! I think this is exactly what science will show us! B: Well then, I think we agree. The question only becomes now what is the goal and end of our life, correct? There is mountain of after-market qualifications we can add to this rather weak account of free will. Habits (which for St. Thomas are any determination of a power, whether this arose from personal, cultural, or genetic origins) certainly play a role in fast-tracking our undetermined concepts to one deteminate thing. A good deal of life needs to be simply executed automatically, and so much of our action- probably much more than is worth thinking about- is almost certainly “determined” in the sense of foreseeable by another. Do we really need a brain scan to tell us this? Can’t we figure this out by living with someone for a week? a) The will is the intellective appetite: a hunger for (or aversion to) the products of conception; i.e., to ideas. It is analogous to the sensitive appetites (“emotions”) toward the products of perception. b) It is impossible to want what you do not know. c) You do not know most things completely: knowledge is indeterminate. d) Therefore, the will (the wanting) is not completely determined to this or that particular course of action. As to final causes, the will is ordered to the Good, just as the intellect is ordered to the Truth. So in all instances, we choose the good as we understand it. But even if the end is determined in general, it is not determined in particular, and a variety of means may be possible to attain the good. Presented with A, B, C, and D and asked to “choose one,” the freedom of the will is inherent in the instruction. Not in the word “choose,” which would be begging the question, but in the pronoun “one.” To which of the options A, B, C, or D does “one” refer? If the answer is “none of them” then the will cannot be determined to a particular choice. This is true even if statistically more than half of those asked will choose C. No one should say that an undetermined choice is an unpredictable one. I would tell Justin that Free Will, as understood by educated Christians, is just a rhetorical device, feigning an answer to the age old question, “If God is all good, and God is everywhere, how can there be Evil?” Free Will asserts that God has endowed us with the ability to be with Him or without Him, because he loves us just so very much that He wants us to have the freedom to do exactly as He says. You, Justin, do not need Free Will to do anything other than rationalize the literal existence of God. And that’s all well and fine. The trouble with Free Will, and this is where people like Sam Harris step up, is when it is applied to something other than rationalizing God. When you assign a simplistic, black and white, culturally subjective good/evil tag on people and actions, you miss the opportunity to discover the real causes and reasons of these people and actions. In law, in matters of family and community, of state and international relations, Free Will is a force of ignorance and inhumanity. You do not need Free Will. Just think for yourself. I used to think that JMJ was just an eedjit. Only now am I coming to appreciate the subtle comic genius of whoever created the character. I’m getting worried for you, brother. Are the people paying you going to be happy with your saying, “You do not need Free Will. Just think for yourself”? DAV: I thought that changing your beliefs because of new information was rational and pretending to change them was not (or was at least deceptive). I did not see that as I cannot control my beliefs—I thought that meant I wasn’t a sap. Now I would agree that some people have a most incredible ability to deny reality, but again, I thought that was a negative. Now you seem to be saying that said people are just behaving like everyone does—they can’t control their beliefs so denial of reality is normal. JMJ (aka “I Hate Conservatives”): The argument from Evil will not hold up philosophically no matter how many times someone tries to use it. Funny how you associate EVERYTHING with religion. That’s an amazing feat. I bet you could associate your mother feeding you oatmeal for breakfast as part of a vast religious conspiracy. You are truly remarkable in your ability to deny reality. Oh, and you use a simplistic black/white morality: Progressive =good, Conservative=bad. So much so you refuse to even discuss what is involved in each. That makes you equal to your description of religious people. So you hate yourself? “You do not need Free Will. Just think for yourself.” Sorry to be so blunt, but that is the stupidest comment I have seen in months and I’ve seen some doozies. Wow, free will discussions are so bizarre, like watching puppets without strings trying to figure what they are, and what to do about it. As I write this, a cicada just fell out of the sky and landed dead at my feet. We don’t have those where I live. Time to change the subject? Pretty self-serving definition, right? I used to think so. But now I know a number of liberals with the same definition, and they are proud of it. E.g., capital gains tax rates are lower than earned income rates because that tax has a large voluntary component, and raising the rate reduces tax receipts. Liberals know that, but want to increase it anyway, out of “fairness”. LOL! Well, at least you caught the ironic redundancy at the end there, Briggs. I was hoping more of your readers could do the same. Of course, the point I’m making is that you do not need instructions to think for yourself. You don’t need to be told to have your owns wants, feelings, desires, worries, etc. It just naturally happens. It seems our dear Justin is looking for something more than what he is asking, and over-thinking involuntary processes, like the man who lies awake at night listening to his heart beat just in case it suddenly picks up a samba. Milton H: I agree. We had these discussions at 2 am in the hallway at college, mostly out of boredom. In reality, it really doesn’t matter at all. Your definition of progressives and conservatives sounds quite good. When you assign a simplistic, black and white, culturally subjective good/evil tag on people and actions, you miss the opportunity to discover the real causes and reasons of these people and actions. Justin, if you’re still watching, have a flick through this pretty good summary of the issues as they have revolved for thousands of years. It might be a bit perplexing that nuances of the same nonsense can keep reappearing in different pretences but…! consider that the human has a propensity for insanely egomaniacal self-worship; then you can get every shade of paranoia from “if I was free I could be and do whatever I like whenever I like and “reality” would always be just whatever I want it to be.” There are, obviously, constraints to such liberty so the narcissist proclaims “therefore, I am not free! I am a (self)pitiful slave of material circumstance!” (And lots of specious variations to that theme). However, if we take a logical look it is apparent that “a thing that does not exist cannot cause itself to exist” (a Man cannot create himself) so then, everything that makes a Man is a “gift” of one sort or another (like nature and nurture, for example). Freedom of will is entirely restricted to being able to accept or refuse a gift (including refusal of the gift of life, as in suicide). That is unacceptable to an egomaniac so we get endless “reincarnations” of egomaniacal nonsense. New words does not = new idea. Justin: I put that comment in because so much of pop psychology, media, etc say people can be anything they want. That is so obviously false. I see now that is not what you were meaning. You’re absolutely right about your being able to chose either one, and later to change that choice to the other option. Aren’t we lucky. We have our own poorly programmed Eliza clone spewing out fortune-cookie wisdom advice. Justin, no one is saying that. Just stick with Free Will. It’ll do ya’. And just in case you are trolling me @jmj, i have been legitimately seeking help with this for some time so even though its not a requirement for you to care because its your right not to in my opinion i do think it is messed up that anyone would find this situation funny enough to troll and not help with understanding. “that is, if I had his genes and life experience and an identical brain (or soul) in an identical state” This is in reference to a very brutal serial killer whom Harris claims had “no choice” in what he became. This is entirely hypothetical and totally unprovable. There are no two identical human beings with identical experiences. There never will be (except maybe in the multiverse, which Mr. Harris also appears to find fascinating). It sounds all sciency and authoritative, but it’s just philosophical drivel. High profile people often have motivations other than what they claim, though I’m sure Mr. Harris would claim if I were exactly like him in all aspects, I’d do the same thing he is. Fortunately, that can never be checked out and I suspect he sleeps well knowing that. Justin, no one is “trolling” you. I was trying to help you understand the issue. I do not think I will be able to do that. I think you need to feel there is a greater something beyond yourself to give your life meaning and direction. If that is what you need, than go for it. And try not to be so defensive. I have nothing against you. I was just trying to show you the argument rephrased from the standpoint of people like myself and Harris. If you didn’t want to understand the arguments, why did you ask? You don’t have to agree. I was just trying to help you understand why there are people like myself out there who disagree with the nation of Free Will. It is. That doesn’t mean one is presented with a choice. What choice is there in a conclusion? I didn’t say “pretending to change them”. Instead I said, if you can control them then you CAN change them to their opposite and I also said you should ask yourself if you really now believe the opposite or are pretending to have done so. If you find you can only believe what rationality dictates the what choice do you have? they can’t control their beliefs so denial of reality is normal. Which is like saying “They can’t control their conclusions so denial of reality is normal”. In other words, you disagree with their conclusions. What makes you so certain your version of reality is the correct one? serial killer whom Harris claims had “no choice” in what he became. As far as society is concerned it’s irrelevant if the serial killer had a choice in being one. A bad apple is removed from the barrel. It doesn’t matter that the apple had no choice. It is exiled anyway. If you contract a deadly disease, you can find yourself quarantined despite not having a choice in contracting the disease. there are people like myself out there who disagree with the nation of Free Will. Words like “disagree” implies that your will was free to agree. If the will is determined to a particular conclusion, as Harris et al. contend, then your will was determined toward “disagreement” due to physical forces acting on your brain atoms. Which has interesting implications for scientists “choosing” their research projects and on determining the truths that are behind their findings. Their conclusions would also be determined. What choice is there in a conclusion? Here are A, B, C, and D. Choose one. Never asked is what if the idea of “real causes and reasons” (or as it’s more commonly known as, ‘root causes’) that is the real cause and reasons for a lot of poverty, crime and misery. What relevance would this selection have regarding choice in a conclusion wrt to a belief? If you are saying the conclusion may be there is more than one available option then the belief would be that there is more than one available option. Do you have a point? Here are a couple of thoughts on the hypothesis of free will (or not), from a purely scientific perspective, in particular from the perspective of physics. The actual proposal begins about 3 minutes into the scene, after sufficient intellectual energy is stimulated. Proposing things about free will suffer greatly from the second issue, namely that it is very difficult to compute predictions in a non-arbitrary way that could define experiments to prove the theory wrong. (This notion is related to Popper’s falsification notions.) Unless a proposal of free will, or its lack, is made in such a way that it can be tested experimentally and non-arbitrarily, then discussions of free will are simply an amusing parlor conversation, devoid of science, perhaps best conducted after suitable stimulation of intellectual energy. The issue is important enough to physicists that much effort has been expended considering possible “loop-holes” by which the experiments might be invalidated. The linked article discusses how most of those proposed loop-holes have been closed, except one: the free-will loophole. The free will loophole is discussed at the end of the article. As couched in terms of the experiments, the concern is how to assure that the events comprising the experiment (including the experimenter) are free of the influence of past events so as to assure that the results were not somehow “caused” by some past events. (And hence propagation faster than light did not occur.) Here the issue is not to discuss the philosophical pros, cons, likes, or dislikes in the issue but instead how to construct an experiment that could prove a positive or negative statement on the free will loophole wrong at least with respect to quantum entanglement experiments. Work on this is ongoing. What relevance would this selection have regarding choice in a conclusion wrt to a belief? If you did not have some degree of freedom in your will, then your choice would have been determined by external forces. So which did you “choose”? Otherwise, if you could have chosen any one of the given letters (or even, as you have done, chosen none but made a distinctly different reply) then the will must be free to that extent. The belief in this case is that the will is not determined to any one particular means. Although that seems to me less a belief than a conclusion in logic. Since the site is allergic to too many links, I have omitted the first part of each address. @jmj my apolohies then i never accused you of trolling i said “if” you are lol but i dont need any thing beyond myself to give my life meaning or nothing im just trying to understand what sam means. like why tell people this stuff while continuing to live as if you have “free will” I mean he travels and meditates and just seems like hes very happy. I have no ill will for sam and im not trying to be defensive at all but i was suffering from huge depression and i finally got over it with the help of the internet of course and learning how to control my emotions and stuff and then to stumble across these philosophies and be told that theyre true because science says so. My lack of knowing about the brain and even science in general keeps me at the mercy of others who study it. Or basically smarter than me lol. I know that philosophies are just ways ppl think and a theory is just that, a theory but its so hard because i set out to do alot but my brain will constantly bring me back to this whole idea. Like “oh choose this or choose that” “well you cant choose that because you have no free will” lol so thats why im so defensive. I just want my happiness back. If you did not have some degree of freedom in your will, then your choice would have been determined by external forces. So which did you “choose”? None of them. Still don’t see what this has to do with a conclusion being a belief. You can’t choose conclusions. The rest is tangential to what I’ve been saying. At some point, if having to make a selection (presumably the best), one must reach a conclusion as to which is best while applying a tie breaker if all seem equal. If you did not have some degree of freedom in your will, then your choice would have been determined by external forces. Not if you always pick what is (to you) the best option. The only rational thing to do, right? Not directly anyway. The external forces would be your experiences and what was learned from them or merely remembered. There are genetic factors which are in a sense external, fight or flight, for example. Not that these can’t be modified by experience (talking you way out which is a form a fight or hiding which is a form of flight). So, the degree of freedom may be so only to an observer who isn’t privy to all of the information. We suppose one can always appeal to the magic “All-the-Information” to get around things and pretend if circumstances were somehow the “same” the choices would be the same. But a repeatable choice can still be freely willed. Not if you always pick what is (to you) the best option. You are now in agreement with Aquinas, who pointed out that the proper object of the Will is the Good, that is: in general as pertains to ends. But the devil is in the details, as Flaubert said, and there is still the question of means. No one chooses what to him seems an evil. It is always a good, insofar as he apprehends the good. Alas, that good may mean cleansing Europe in the name of “racial hygiene,” or relieving your aged grandmother of her life savings. So if our knowledge of the good is indeterminate, then our will cannot be entirely determined. There is more to it: the distinction between free choice and free determination so often overlooked by lumping them together into the English term ‘free will’ and the mistake of equating this with libertarianism. But basically, this is all that was meant by those who devised the doctrine of free will: The will is not determined to any one means to achieve the Good. More complicated contraptions were developed by Decartes, Hume, and the other Revolutionaries. But all these determinations are all interior, whereas most determinists rely on exterior “forces” in order to “cause” the choice. Actually, free will enters into matters in #1. “Guess the law/principle/hypothesis.” How is this possible if the choice is determinate? A very good example. The statement “the choice is determinate” is itself a “guess” at a law/hypothesis/principle. To make it scientifically, according to Feynman, one needs to phrase it so that its consequences can be computed in a sufficiently definite way to predict the outcome of experiments in a non-arbitrary fashion. That would mean being able to identify and control the antecedents of the phenomena involved (a human choice in this case) and characterized and measure outcomes sufficiently to be able to prove the statement “the choice is determinate” wrong. As he points out with his example from psychology, interpreting the difficulties of a child in terms of the antecedents can “explain” an outcome as either an over indulgent mother or a mother who starved the child with too little love, or any of many other possible interpretive psychological notions, which makes such hypotheses impossible to prove wrong. There is too much arbitrary slack in the guess and its link to outcomes of experiments. The more testable guess is the one associated with very simplified experiments on quantum entanglement. In particular are the outcomes of such experiments dependent on antecedents, perhaps in the distant past? The phenomena affecting such experiments can be made far fewer than antecedents of human psychological actions and in principle may be more testable, i.e. provably wrong. The statement “the choice is determinate” would be more in accord with Briggs’s recurring theme of the nature of “cause,” roughly paraphrased as nothing happens without a cause. In general, that is a hard statement to devise experiments capable of proving it wrong. Part of the difficulty is the inclusion of the word “nothing.” The quantum entanglement experiment is perhaps nicely matched for this since it picks a specific thing and because an essential part of the experiment is that the only causal factor is the action of the experimenter in observing one of the two entangled states involved. To say that the outcome is “determinate” in this case says that even though the immediate “cause” of the apparently causality violating outcome is the experimenter’s action, there exists some other antecedent or antecedents, which, unknown to the experimenter are actually “causing” the outcome. Getting at that experimentally will involve some clever technique development, but it may be far more likely to do that than to do something equivalent with human thought and behavior. So, to reiterate, discussion of free will with respect to human choices (i.e “the choice is determinate”) are fun parlor conversations, leading to amusing word games and sophistry, but are intrinsically outside of the practice of science, since they are not capable of being tested in a non-arbitrary way. Far more interesting from a scientific perspective is the issue of causality in specific controlled experiments. That’s nice. Don’t care really. Still means the ‘choice’ is not a choice at all but merely the only surviving option. So you don’t think there are inherently random events and that even with full knowledge the outcome is indeterminate? What’s so magic about it? What? Nonsense. It’s how the person doing the choosing sees it; not you You are just saying YOU can’t determine what another might choose. The person making the choice (and at the time of the choice there is only one alternative because it is the best — a point with which you say even Aquinas agrees) obviously has no problem arriving at it. Are you now claiming they are random? DAV: Okay, I’ll agree that if your life is dictated by rational thought, then you don’t have a choice in what you believe. However, you did have a choice in rational thought versus emotive response to the world. I am not up for the “what makes you so certain your version of reality is the correct one”. I’ve been through that one with my brother that lives in his car and abandoned his six kids. I suggest reading David Icke if you’re really into that kind of thing. I agree that in the case of the serial killer, society’s response is to remove the killer, by jailing or whatever. This is a good example of why the whole thing is a head game—it matters not at all if we have “free will” or not, unless you’re trying to prove atheism is correct (which Harris seems to be doing). Bottom line, it’s not about free will, it’s about God versus no God. In general, that is a hard statement to devise experiments capable of proving it wrong. This discovering that not all statements are scientific ones. What experiment would you propose to prove whether the ratio of the circumference of a circle to its diameter is irrational? Metaphysical determinations are more like mathematical proofs than either is like scientific inductions. But as a logical test, we could ask whether a scientist may choose a hypothesis to test. If he can, the choice is not determined a priori. IOW, Step #1 presupposes volition. You continue to state agreements with points made by Aquinas as if they were objections! But the freedom of the will is not based on winnowing down “options” and picking the survivor. The question is whether the will is determined to this or that conclusion. If a better “option” were to present itself, you would change your mind. The will must be free to do so. But what exactly is the “best” option? Go back the example of choosing A, B, C, or D. Which of these is under any conditions could be considered better or worse than the others? So you don’t think there are inherently random events and that even with full knowledge the outcome is indeterminate? People who deny the will’s freedom for many instances usually resort to the cop-out that if we knew all the circumstances (or if we re-ran the precise same circumstances) the outcome would be determined. Free will (in either of its facets) is not in the same game. For that matter, event-causality isn’t even what voluntary acts involve. What? Nonsense. It’s how the person doing the choosing sees it; not you You are just saying YOU can’t determine what another might choose. No, I’m saying that you cannot want what you do not know. So if you do not know something completely, your desires are not completely determined. This doesn’t seem especially mysterious. This has nothing to do with predictability. YOS: Remember Feynman’s approach. In science he says we do not do things such as “Prove whether the ratio of the circumference of a circle to its diameter is irrational” or any so worded statement. What we do is compare a prediction to experiments and determine whether or not it is wrong within experimental tolerances, NOT that it is right. It is intellectually confounding to confuse proving the truth of something (as is custom in math, logic, or presumably philosophy) with Feynman’s view of science as simply demonstrating that a statement is not wrong, given a particular experimental configuration. Also inherent in Feynman’s approach is the notion that wrong is intimately connected with current experimental errors and uncertainties. The scientist also accepts that the statement is not proven wrong “for now” but in the future it may well be proven wrong, and that is perfectly acceptable, in fact to be hoped for. He has another segment in his talks where he discusses the difference between mathematicians and physicists in which he goes into this more thoroughly. It is worth a look. The point is that in Feynman’s view, science does not prove that statements are right, it only attempts to demonstrate that for now, with current experimental capabilities, they are not wrong. Precisely. So why apply the criteria of natural science to any field where they are inherently inapplicable? “Human will is not determined to any one particular” is no more “scientific” hypothesis than is “The ratio of the circumference to the diameter is not rational.” In neither case are “experiments” and “measurements” applicable. Absolutely in agreement. Once one accepts that discussions of free will (at least as applied to human decision) are necessarily outside of the realm of natural science one is free to consider them according to one’s tastes for intellectual inquiry. The point is that the notion of free will as applied to humans is currently outside the reach of science. Accept that and discuss it as much as one wants from the perspective of religion, philosophy, personal taste, etc. However, it is also important to note that the concept intrinsic to free will, namely the notion of whether or not an outcome can be determined to be free of antecedents other than those specifically and narrowly limited by an experiment, is an important element of science. This is particularly evident in the quantum experiments now underway. The closest analogy to the desire to consider “free will” (or its lack) as defined in science perhaps is the early desire by the pioneers of quantum mechanics to reject the probabilistic notions implied by experiments and seek for “hidden variables” that somehow explained results that appeared to be only predictable in terms of probabilities. Einstein had trouble with this as reflected in his famous quote “God does not play dice with the universe.” This quote is much misunderstood, since he apparently did not mean God in the personal religious sense, but instead he was uncomfortable with the notion that nothing can be certain. This is another way of saying he was uncomfortable with the lack of determinacy experimental outcomes. So, in brief it is useful to be clear in which context one chooses to discuss the notion of free will. Well, Justin, what do you think Free Will means? That’s what this really comes down to. For intellectual Catholic Folks, like William Briggs, Free Will is a way of explaining why there is such a thing as evil. It is very important that you understand this is what some people, maybe most, mean when they say “Free Will.” I do not believe there is such a thing as evil. There’s smart, there’s stupid, there’s crazy, there’s stupid and crazy, there’s smart and crazy, and there’s just plain ol’ nature, but evil is a superstition invented by man to direct and control one another. Animals have no free will. Does that mean their movements are determined in the sense of physics. Thus, do animals move by necessity? Yet Aquinas did not think so. He wrote that stones move by necessity, the sheep moves by instinct and man moves by deliberation. So, do animals move by necessity or not? JMJ: That offer of a one-way ticket to the Utopia of Iran where no evil exists is still good. Aquinas … wrote that stones move by necessity, the sheep moves by instinct and man moves by deliberation. So, do animals move by necessity or not? Yes and no. First, “instinct” in the older tradition was far more supple than the mechanical, clockwork instinct imagined by the Scientific Revolutionaries. This instinct, sometimes called “estimation” or “animal prudence,” plays a role similar to the Will (Volition) in rational animals. This is the judgment that a thing perceived is either desirable (e.g., food) or repulsive (e.g., a predator). The sheep perceives the wolf and esteems it an enemy, and so flees. But a rational animal perceiving the wolf may deliberately stand his ground and drive off the wolf. This is because the higher powers govern the lower, so the Will governs the Emotions. Since animals do not possess the deliberative power (of intellect and will) many of these assessments are “wired in” by evolution. However, animal imagination is capable of memory and learning; so among the higher animals there is some evidence of what is called “practical reason,” if not “speculative reason,” and this may present the animal with “fight-or-flight” choices. For intellectual Catholic Folks, like William Briggs, Free Will is a way of explaining why there is such a thing as evil. That’s like saying nuclear physics is a way of explaining Nagasaki. This was not, in fact, the rationale behind freedom in the will. That is simply a logical consequence of incomplete knowledge of a desired thing. An evil is a deficiency in a good. That’s why they are sometimes called “shortcomings.” For example, a “good” archer is one who hits the target. A “bad” archer is one who frequently misses. The more often he misses, the worse archer he is said to be. This is actually less an invention of man than the electron, whose objective existence was doubted by Heisenberg. Well, Justin, it seems you have a notion of free will that is all well and fine. It’s called Freedom, or Liberty, or having Human Rights. And your notion of evil? I’m right there with ya’ too, brother. Remember, though, the choices you make come from who you are and all the things on every level that make you who you are. Your tastes, preferences, biases, quirks, fancies, dreams, loves, hates – all came from somewhere outside your control, when you were young and developing. If you were lucky, you had an upbringing surrounded by culture and learning. If you weren’t so lucky, well… Free Will, as discussed here has to do with judging the choices that you make. Should we all just ignore why we make the choices we make, or should we all learn from why? I choose the latter. Your tastes, preferences, biases, quirks, fancies, dreams, loves, hates – all came from somewhere outside your control, when you were young and developing, and continue to accumulate and change all the time. YOS, none of that made sense. Of course physics is a way of explaining Nagasaki. So’s politics. And evil is understood in many different ways. As an adjective, yes, it is simply the antonym of good. As a noun, it is a myth, a superstition. @jmj I totally agree with you 100%. If having free will means that i could jump in the air and start flying if i wanted then obviously not lol i understand that our desires stem from things we had no control over. For example i didnt create Hawaii but i think i have enough freedom and choice to go there if i desired or not you know lol or even on a deeper level if someone grew up in a bad environment and had a negative outlook on life because they couldnt control how they were raised, at a certain point which is normally adulthood when they have more control over themselves they can learn that they dont have to be so negative and change their behavior and outlook. Thats what i and i think most people associate free will with. That type of power over oneself. And if people are saying then that we have control only within a certain set of laws like my example earlier in the comment with the jumping in the air and flying of course i cant do that physically because i dont have any super powers but the “free will” i do have is to be able to create a device that could allow me to fly using science lol i hope you understand what i mean and i dont mean to ramble on but if my examples are what sam means by physical laws that restrain us like not having super powers then maybe we should change the name from “free will” to something else. And i also know what you mean as well with wanting to know why we do what we do but id rather just do what i can do because that question might not ever get answered unless someone goes all the way back to the beginning of time in a time machine lol. Without evil, good has no meaning. If evil is a myth, good is also a myth. JMJ simply does not want to admit this. Both are value judgments based on religion of some kind, be it “science”, God or whatever. Without evil, everything is just neutral. It can be nothing else. There is nothing to contrast it to. In a utopia, there is only what is, without any value judgments possible. One cannot even call it a utopia, because there’s no such thing as evil or bad. Of course, JMJ really means there’s no such thing as other religions, other than Rationalism or Scientism or whatever he’s using to decide what he calls “good” and to dismiss evil as a myth. Everyone uses something to give meaning to their lives and order. Some are honest enough to call it religion, others pretend it isn’t in order to try and sound morally superior, which is really rather foolish since they are easily seen through. Those who reject religion are just as “deluded” by their own beliefs as those who accept religion are considered to be by these individuals. Just they just better at ignoring their own behaviours and rationalizing away whatever doesn’t fit. Without evil, good has no meaning. If evil is a myth, good is also a myth. Actually, it’s the other way around. An evil (defectus boni) is a deficiency in a good and without the good, the evil could not exist. For example, life is a good and death is a deficiency of life (in fact, the ultimate deficiency). You could have life without death if life were perfected; but you cannot logically have death without life. YOS: I don’t think life and death as opposites are the same as good and evil. Alive and dead are physical states, good and evil are moral states. Can you have happy without sad? It’s all one state without anything to compare it to. Perhaps up and down work without each other, but still, if there’s only up, it would have a different meaning than it does now, as it would be the only vertical direction. Good without evil is still meaningless. Let’s call good red colored and imagine a world with only good—it’s monochromatic. There’s nothing to compare to. What does “red” mean in a world that is all red? What does “good” mean in a world that is all good? I don’t think life and death as opposites are the same as good and evil. Alive and dead are physical states, good and evil are moral states. They are not “opposites.” An evil is a deprivation in a good. It does not have independent, positive existence. It is more like a hole in something else. You can conceive of a whole without a hole; but you cannot conceive of a hole without the whole in which it is a hole. (I’ve always wanted to write that sentence.) The moral dimension of bad/good is simply a particular case of the basic definition. When we say that eating too much chocolate is bad for you, we touch on this pre-moral aspect of good/bad. Good without evil is still meaningless. No. “The good is what all pursue,” as Aristotle wrote. Is it meaningless to say what a good doctor is? A good archer? A good strategist? It is only in such terms that we can say what would be a bad doctor, a bad archer, or a bad strategist. Let’s call good red colored and imagine a world with only good—it’s monochromatic. There’s nothing to compare to. The good is not like “motion” in physics. It is not defined relative to something bad. It is defined by the nature of the being; that is, to an objective assessment. Alas, that means that what is good for the lion will often be bad for the gazelle. Fortunately, both lion and gazelle lack intellect and will and so these lack the moral dimension inherent in the perfections of these powers. What does “red” mean in a world that is all red? It would mean that all light is reflected only in 620–740 nanometers wavelengths. What does “good” mean in a world that is all good? It would mean that you were in heaven. Your answer, yes and no–does it mean that philosophy can not answer this point. Or the answer is unknown? Unknowable perhaps. At least, this should give pause to partisans on the both sides. We do not know even about the animals. Good luck, Justin. Just so you know, Sam Harris is saying the same things I talked about here. I’m quite familiar with Sam Harris. Briggs representation of Harris is not what I would call accurate, or even at all to the point. There can be great spiritual satisfaction in embracing knowledge, of becoming more aware. Never say you don’t want to know things. In the modern world, it is only for lack of curiosity that superstitions still persist at all. JMJ saying the same thing as Sam Harris explains a lot. Especially that last sentence, which explains why JMJ still thinks his progressive ideas are an improvement. He’s afraid to actually look and the superstition continues with progressivism and their high priests. Never say you don’t want to know things. [S]ince Holy Scripture can be explained in a multiplicity of senses, one should adhere to a particular explanation, only in such measure as to be ready to abandon it, if it be proved with certainty to be false; lest Holy Scripture be exposed to the ridicule of unbelievers, and obstacles be placed to their believing. One might assume that there are many more separate substances than there are even celestial spheres and celestial motions, and invoke whole legions of angels to move them; but this cannot be demonstrated by arguments originating from the senses, and the philosophy of nature demands always that our arguments be sensible. Out of nothing pre-existing, God had created a single point from which the entire physical order was to derive by way of extension or expansion. The first dimensionless point was light which was one and simple, containing matter implicitly in its light form. It is the part of courage to have recourse to dialectic in all things, for recourse to dialectic is recourse to reason, and he who does not avail himself of reason abandons his chief honor, since by virtue of reason he was made in the image of God. Dialectic is no enemy to the mysteries of God, rather it confirms them, if rightly used, when the matter demands it. The profliferation of universities between 1200 and 1500 meant that hundreds of thousands of students – a quarter million in the German universities alone from 1350 on – were exposed to science in the Greco-Arabic tradition. … These individuals benefited from the considerable freedom of thought allowed by the university disputation, which required that arguments pro and contra various propositions be advanced and defended on rational grounds alone. … Between 1150 and 1500, more literate Europeans had had access to scientific materials than any of their predecessors in earlier cultures, thanks largely to the emergence, rapid growth, and naturalistic arts curricula of the medieval universities. — Michael H. Shank, “Myth 2. That the Medieval Christian Church Suppressed the Growth of Science,” in Galileo Goes to Jail and Other Myths about Science, ed. Ronald L. Numbers. Thanks @ jmj and you all im glad i have gotten a better understanding of all of this stuff. And its not that i dont want to know stuff, its just this particular debate between philosphers about freewill and determinism just doesnt seem like it will ever end. But i just needed clarity which everyone especially Briggs has provided me and i couldnt be more happy or relieved. YOS, that’s why I advocate a good Jesuit education. My wife has hers from St Peters, which was my idea and I’m glad she went with it. If I could go back, that’s what I’d do! Question: Whether those who do not believe in God may act morally. Objection 1. It would seem not, because as Jean-Paul Sartre held in “Existentialism is a Humanism, there disappears with God all possibility of finding values in an intelligible heaven. There can no longer be any good a priori, since there is no infinite and perfect consciousness to think it. It is nowhere written that ‘the good’ exists, that one must be honest or not lie, since we are now upon the plane where there are only men. Objection 4. Also Voltaire did not believe in God but wanted his butler to believe because he thought he would then be robbed less. And Rousseau thought that a nation needed a religion if it was to accept laws and policies directed at the long term future. Without religion, people would insist on immediate gain, to their eventual cost. Clearly, they believed that without religion there would be no morality, save among the Enlightened. Objection 5. Also Alex Rosenberg, in “The Disenchanted Naturalists Guide to Reality,” asserts that naturalism denies the existence of objective moral value, of beliefs and desires, of the self, of linguistic meaning, and indeed of meaning or purpose of any sort. All attempts to evade this conclusion, to reconcile naturalism with our common sense understanding of human life, inevitably fail, and we just have to learn to live with that. A belief in meanings and purposes is what puts us on a “slippery slope” to religion. IOW, thoughtful atheists answer the Quaestio with a “No” and the Christian with a “Yes,” which is a strange and curious position. Rosenberg’s all-encompassing litany of things lacking reality is amusing. One is “linguistic meaning,” which sort of puts the kabosh on his own writings. Nietzsche goes on to criticize the “English flatheads” who think they can keep the Christian morality without keeping the Christianity. (He wants to drop both.) He takes this as evidence that even atheism has been fatally infected with Christian cooties.